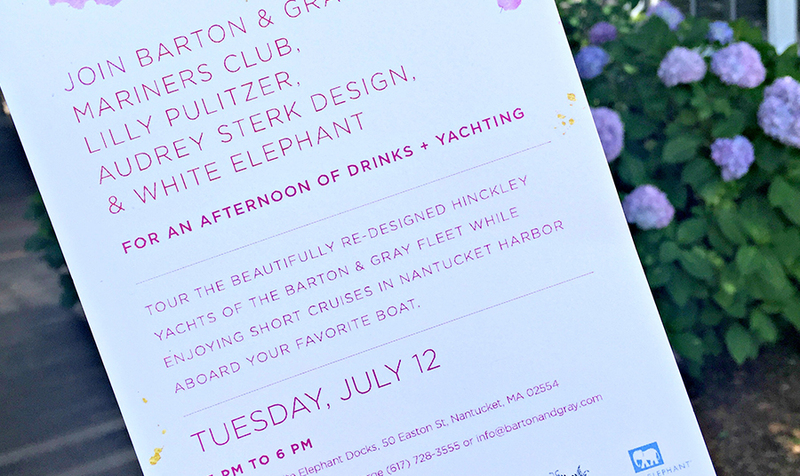 White Elephant Hotel's harbor side lawn was awash in pinks and greens yesterday, as friends from In the Pink came out to celebrate the launch of several newly outfitted Hinckley Yachts from Barton & Gray Mariners Club. 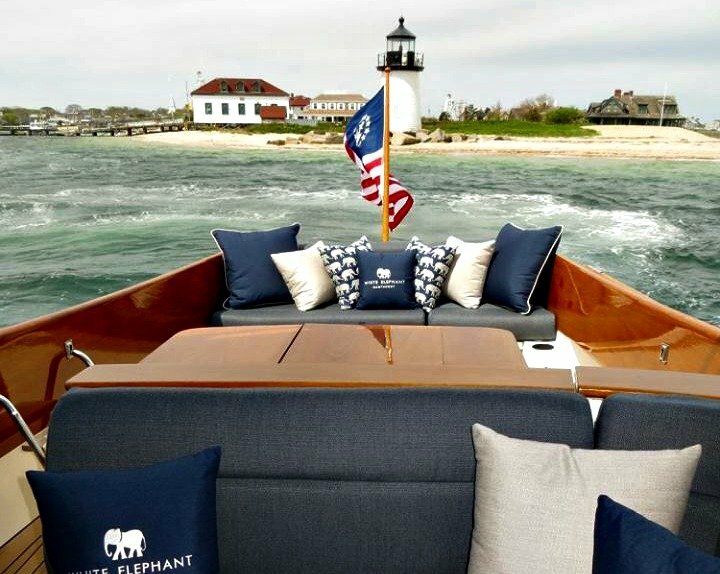 The three seriously stylish ships feature signature upholstery and decor designed by Lilly Pulitzer, Nantucket based design maven Audrey Sterk, and of course Nantucket Insider's favorite- White Elephant. 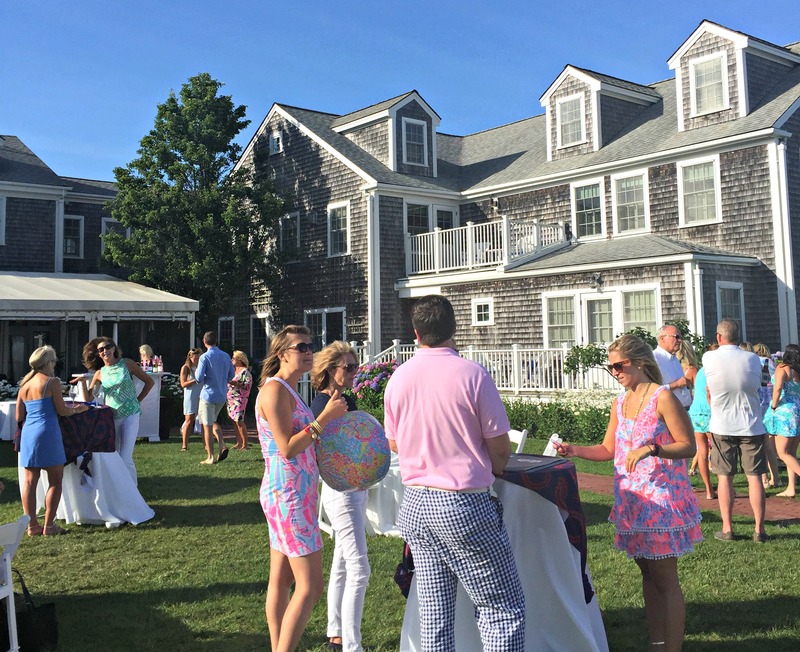 Guests enjoyed an afternoon of light bites and libations courtesy of Brant Point Grill, with delicious snacks of lobster rolls, beef sliders and an assortment of beers and rose from Cisco Brewers. 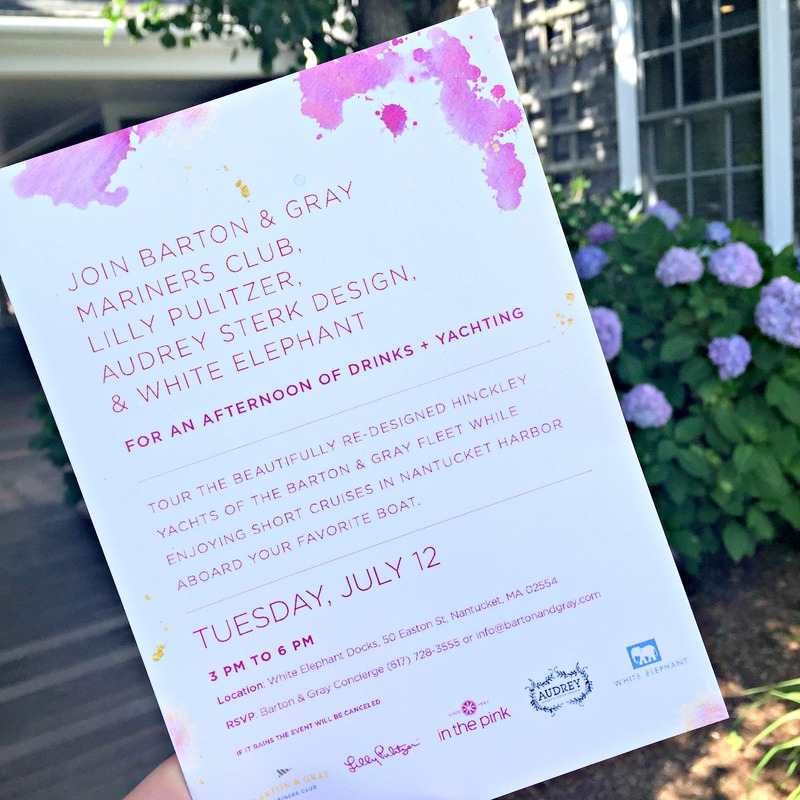 Barton & Gray Mariners Club hosted party-goers aboard the yachts for half hour cruises to sample the luxurious Barton & Gray experience, which many White Elephant guests are no stranger to, as they have access to book exclusive excursions on the boats throughout the season. We hope to see these beautiful boats out on the harbor often this summer! 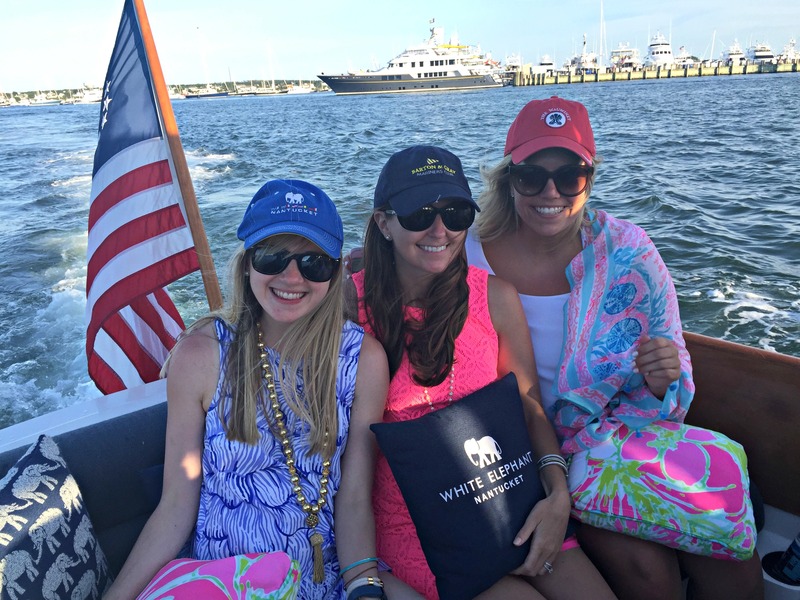 These three ladies definitely have #thatNantucketfeeling!